I often wonder why produce, and fruit in particular, often tastes better in Italy. The soils in Italy aren’t especially great. Perhaps it’s the more temperate climate, or perhaps the varieties are different, more carefully bred for flavor rather than other qualities such as uniform ripening or the ability to be shipped. In any case, it’s been a disappointing year in our area for peaches. Both flavor and texture have been somewhat imperfect, and this can make it a challenge to do the sort of transparent cooking that we like. We had hoped this month to roast peaches in the oven with amaretti cookies, but the peaches we had access to just weren’t perfect enough for this preparation. So we decided on a perfect use for imperfect fruit: sorbet. This is hardly a sacrifice. We probably serve various types of sorbets more often than any other dessert at the restaurant because sorbet is one of the most delicious ways one can end a meal, and no dessert is more light and refreshing. Of course, the best fruit makes wonderful sorbet, but it is one case where an imperfect ingredient can be transformed into a dish of great satisfaction. Unlike gelato, sorbet can be made wonderfully at home in an inexpensive ice cream freezer. Because home models require about 20 or 25 minutes to freeze the gelato or sorbet (compared to less than 10 for commercial machines), ice crystal formation is nearly inevitable, which is a deal breaker for gelato – which is always milk/cream based – but not for sorbet, which is always water based. We have two machines, a two-quart Cuisinart model and a one-quart Cuisinart model. I’m not sure there’s much difference from brand to brand, but for home use we recommend a one-quart model. After a number of hours in the fridge the sorbet will become rock hard and useless. It’s always best to eat sorbet the same day it’s made, just the way you would in Italy. If you’re looking for further sorbet/gelato inspiration, make a trip to Capogiro in Philadelphia, the East Coast’s premier gelateria. Place the peaches in a blender along with 2 cups water, 1 cup sugar, juice from 1 lemon, and the tiniest pinch of salt. Process for 30 seconds or so until completely smooth. Chill for at least 8 hours or preferably overnight, then freeze in an ice cream machine according to the machine’s instructions. When the sorbet comes out of the machine, it will probably be too soft. Freeze for a few hours until it firms up just a a bit, but keep an eye on it because after too many hours it will become hard as a rock and not easy to use. The past few weekends we’ve been serving hazelnut gelato at the restaurant. It’s been a long time coming. Although we’ve been making and serving sorbet since the beginning, gelato is much harder to make without large-scale equipment, and this is the first time we’ve been pleased enough with the result to serve gelato at the restaurant. Gelato is one of the great culinary treasures of Italy. The way gelato differs from ice cream speaks volumes about how Italians think about food. For starters, in Italy gelato is made every day. It doesn’t sit in a freezer somewhere for days or weeks but is made and consumed fresh. Although it is sometimes perceived as being more rich than ice cream, it is actually less so, being made with more milk and less cream than American ice cream. Finally, gelato is kept frozen at a higher temperature than American ice cream, keeping it softer and spreadable. In Italy, the tool one uses is not an ice cream scoop, but a sort of spatula. The problem with making gelato at home or on a small restaurant scale is that the machines made for that purpose take a long time to freeze the mixture, about 20 to 25 minutes, more than twice as long as professional machines. This longer freeze time creates the potential for the fatal flaw of homemade ice cream, ice crystals, ruining the silky and luscious texture of properly made gelato. All of our earliest attempts to make gelato were doomed for this reason. We also noticed that the high cream content of our mixture (usually 50/50 milk/cream), left a greasy film on the dasher and in our mouths. And so we consoled ourselves with making water-based sorbets, which aren’t ruined by an icy texture and don’t get greasy from fat. And thank god we could always make a trip if we were really desperate to Capogiro in Philadelphia (the only gelateria in the US we know of that makes and serves it right). 1) At home, custard-based gelato is more successful. 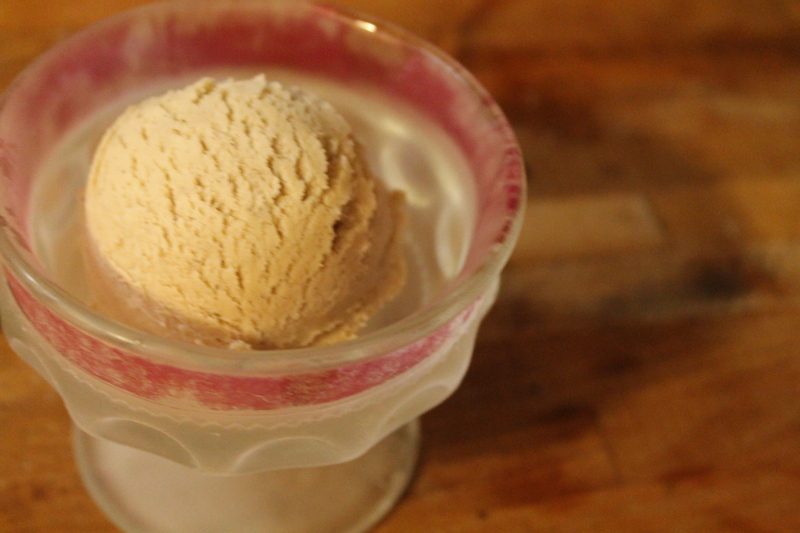 Ice cream without eggs (aka Philadelphia style) has never come out without an icy texture. Because of our pursuit of simplicity, our favorite gelato flavor is fior di latte (made with sugar and milk only), and we spent a lot of time trying to make egg-free gelato, but we’ve finally concluded it’s just not possible. 2) All instructions call for heating and then cooling the mixture, but we’ve found that chilling for a few hours is not enough. An overnight rest in the fridge does wonders for the texture of gelato and for reducing iciness. The longer it ages the more stable it becomes, which improves texture. 3) In Kopfer’s book, he recommends putting the custard mixture through the blender before mixing in the cream, and we’ve found this to make a big difference. Somehow the fats become more evenly distributed, which helps overall texture. 4) We settled on Kopfer’s suggestion of 2 parts milk to 1 part cream. This has eliminated the greasy phenomenon. 1) Roast 225 grams (1.5 cups) hazelnuts in a 350 degree oven for 10 minutes, and then grind into fairly fine meal in a food processor. This can be overdone, so experiment. On our machine, we run it for 20 seconds. 2) Heat 3 cups milk to 170 degrees, stirring constantly once it’s above 140 degrees. 3) Remove from heat and stir in the ground nuts, return to low heat and stir constantly for about 10 minutes, making sure the temperature doesn’t go much above 170 degrees. 4) Remove from heat, cover, and allow to steep for one hour or a little more. 5) Strain out the nuts, add 100 grams (1 cup) sugar, and reheat the milk mixture to 170 degrees. Remove from heat. 6) With an electric mixer, beat 4 egg yolks with another 50 grams sugar until pale yellow and thickened, just a minute or two. 7) Temper the egg mixture by slowly drizzling in a little hot milk and mix thoroughly. Once a fair bit of milk has been added, you can add the rest more quickly, and then return the whole mixture to medium heat, and stir constantly until the mixture reaches 185 degrees. Remove from heat and add ½ teaspoon vanilla extract. 8) Process in a blender for just 30 seconds or less, and then pour into a bowl or pot and add 1 cup cold cream. Stir well and place in a sink of cold water to chill the mixture quickly. After 15 minutes or so, cover and place in the refrigerator for at least 8 hours or preferably overnight. 9) Freeze in your ice cream machine (I chill the dasher in the freezer beforehand and cover the open lid with an ice pack to keep everything cold). 10) Place the gelato in a pre-frozen container and let it slightly harden in the freezer for two or three hours. 11) The next day the gelato will be much harder, but still tasty. 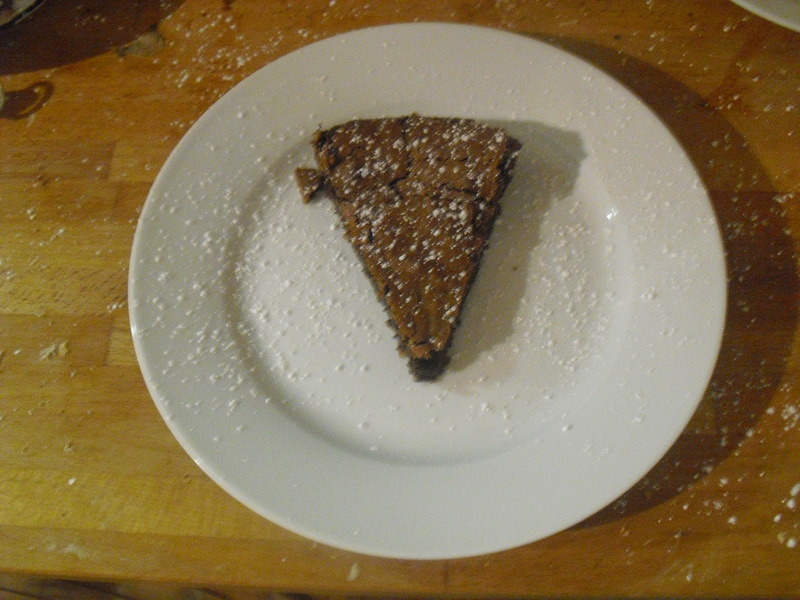 For the restaurant on February 16, we had put a flourless chocolate cake on the menu which we first learned from our friend Anna Brevini of the agritourismo farm Bosco del Fracasso, near Reggio-Emilia. I had made it many times and at one point had it memorized. But enough time passed that I had forgotten the exact proportions, and when I realized one morning recently that the recipe had been lost with a crashed computer some months earlier, I momentarily panicked. But a quick internet search turned up a lovely recipe by the great cookery writer Elizabeth David, an authority one can always count on. Her cake called for almonds (Anna’s had not), and I decided to follow David’s recipe, substituting hazelnuts. I was so pleased with this version that I think it will become the standard one I serve. How often a mistake actually leads to an improvement! This version of the cake is my own, but the ratio of ingredients is based upon Emiko Davies’s version, which is in turn based on Elizabeth David’s. 1) Begin by roasting 85 grams hazelnuts at 350 degrees for about 15 minutes. Let cool slightly and then rub off the skins with a wet towel or your hands. Grind the hazelnuts into a powder with a food processor or other grinder (I use an old whizzer coffee grinder). 2) Meanwhile, melt 115 grams bittersweet chocolate in a double boiler and then melt 85 grams of butter with the chocolate. Remove from heat and allow to cool slightly. 3) Beat three egg whites until stiff, and beat three egg yolks with 85 grams sugar until thick. 4) Add a teaspoon of vanilla and two shots espresso or very strong coffee to the chocolate. If you prefer, substitute of shot of liquor (rum or amaretto) in place of one of the coffee shots. 5) Slowly mix the chocolate into the egg yolk/sugar mixture, then fold in egg whites. 6) Pour into a cast iron or cake pan which has been buttered/floured. 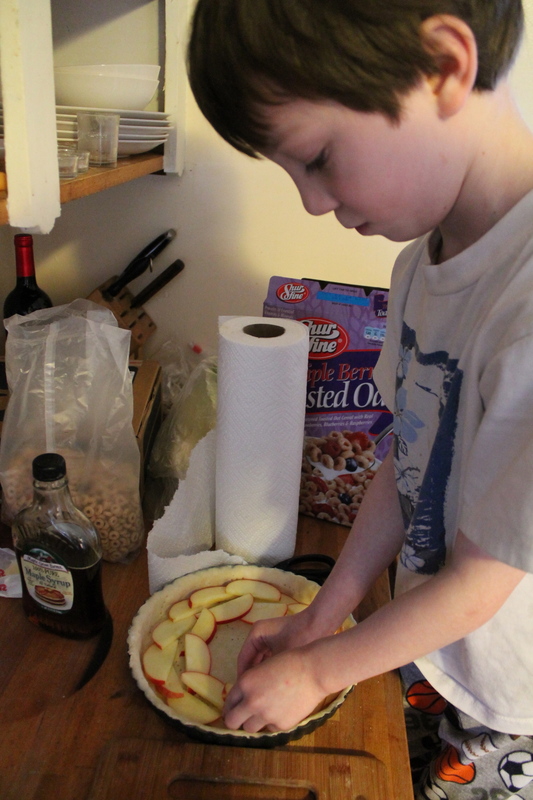 To be safe, you could use parchment paper or just plan on serving the cake from the pan. Bake at 350 degrees for around 30 minutes or so, until a toothpick comes out clean. 7) It’s best warm, but it’s also good at room temperature. 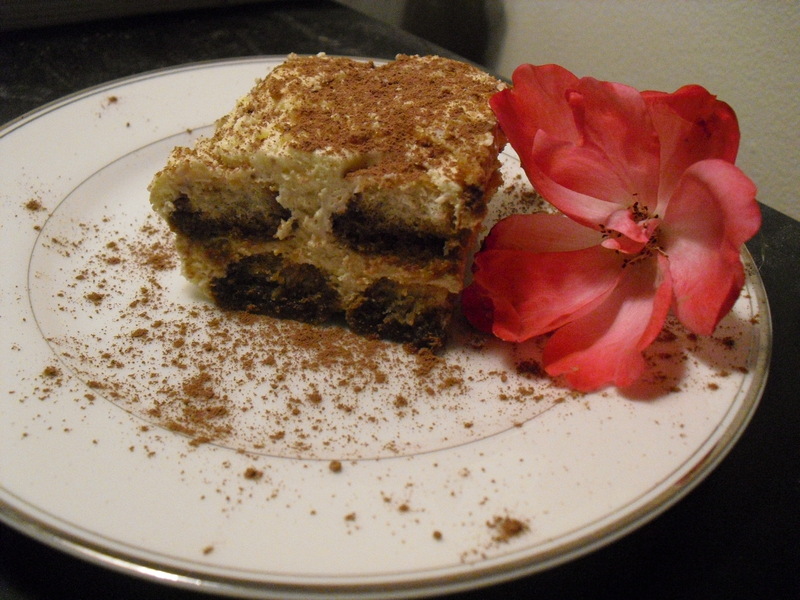 By Italian standards, tiramisù (literally “pick-me-up”) is a culinary infant. 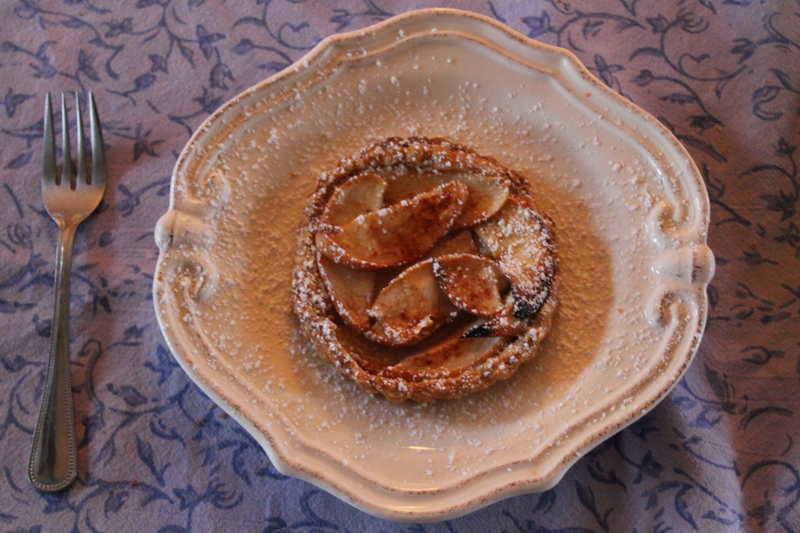 Though its history is controversial and shrouded in mystery, almost everyone agrees that the dessert came from the Veneto region of northeastern Italy and was created for the first time only 40 years ago. It spread fast, though. By 1981, it was made throughout Italy and was beginning its international fame as well. Soon, overly sweet American versions were everywhere, and the balance and poise of the Italian original were being lost. Of course, few recipes are truly original or unique. Whenever I think I’ve hit upon something entirely of my own creation, I’m frequently surprised to find a similar or identical preparation in a book a few weeks or months later. Novelty holds little interest for me as a cook. I don’t cook to impress others or express myself, but rather to nourish and comfort. I find good cooking to be much less like being a playwright than being a classical actor. But like an actor dedicated to the Shakespearean corpus, a cook in the Italian tradition is constantly challenged not to create but to interpret, not to innovate but to be true to one’s tradition. Of course, just as in theater, the best cooking is not characterless but rather reflects the personality of the cook. But this personality is reflected through the expression of something classic, time-tested, and worthy of respect. The first and only tiramisù recipe I’ve ever made has been that of Giuliano Hazan, son of Marcella and Victor Hazan, both interpreters par excellence of Italian food and wine. Giuliano’s is so good, I’ve never been curious enough or tempted to make another. The secret to its brilliance is the choice of liqueur, Strega (Italian for “witch”), a delightful herbal-infused brew from Benevento, in Campania. Giuliano claims that Strega is the “classic” liqueur used for tiramisù, though I’ve never found a reference to its use in the dessert in any other recipe. Marsala is the almost universal choice, though one of those claiming to have invented the dessert insists it must be made with no liqueur at all! However, this is a rare instance in which I’m not too concerned about being true to the original. The use of Strega is so inspired that I have no inclination to try another way. As a traditional Italian recipe, Giuliano’s version is perfectly balanced, not overly sweet nor aggressively alcoholic. For me, this kind of balance represents cooking at its best. 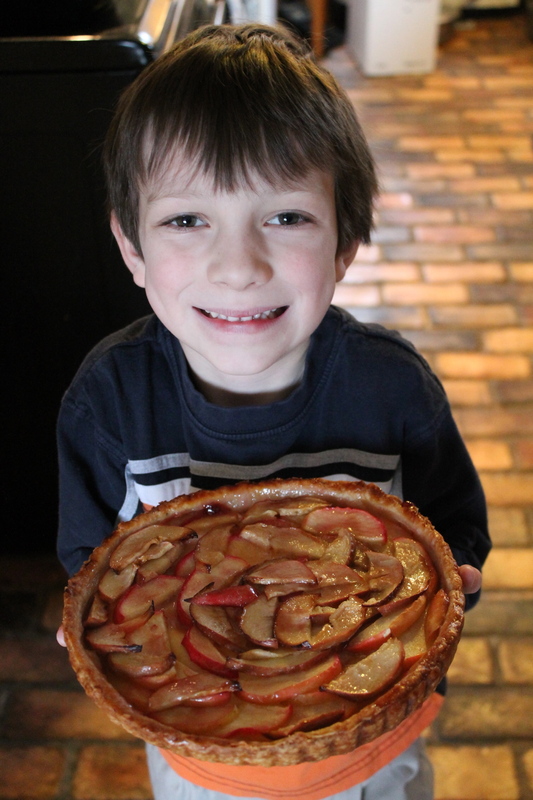 The recipe I offer is Giuliano’s, with only very minor changes. 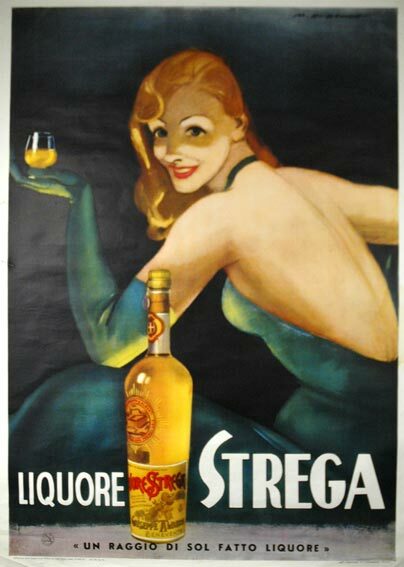 Although Strega can be hard to find, it is worth ordering it by mail or tracking down when in New York or Philadelphia. Of course, it is also hard for most people to get hold of strong Italian coffee (espresso) at home. The recipe calls for around 16 ounces of the stuff. If you don’t have a friendly barista to call upon and don’t have a machine in your home, a stove-top moka pot is acceptable and even traditional. It is the method of making coffee most common in Italian homes. Even Bed, Bath, and Beyond seems to carry them now. The coffee is not great, but it’s perfect for tiramisù. The recipe makes 12 to 16 servings, so making a half recipe makes sense. 1) Prepare two cups of espresso and let cool slightly. 2) While the espresso is cooling, beat 4 egg yolks with 6 tablespoons sugar until ribbons form (1 or 2 minutes with an electric mixer). 4) Whip ½ cup of heavy cream until thick, and then add by hand to the mascarpone mixture. 5) Dip one or two ladyfingers at a time in the espresso. I do 1 or 2 seconds maximum per side. More than that, and they will be a soggy mess. I also dip them in just a little coffee at a time in a shallow bowl. They will still seem hard after 1 or 2 seconds per side, but they will continue to soften while the dessert rests. You will need about 8 ounces of dried ladyfingers. 6) Dip and lay half of the ladyfingers in a single layer in a baking dish. Distribute half the mascarpone mixture over the ladyfingers, and then repeat with another layer of ladyfingers and another layer of mascarpone. 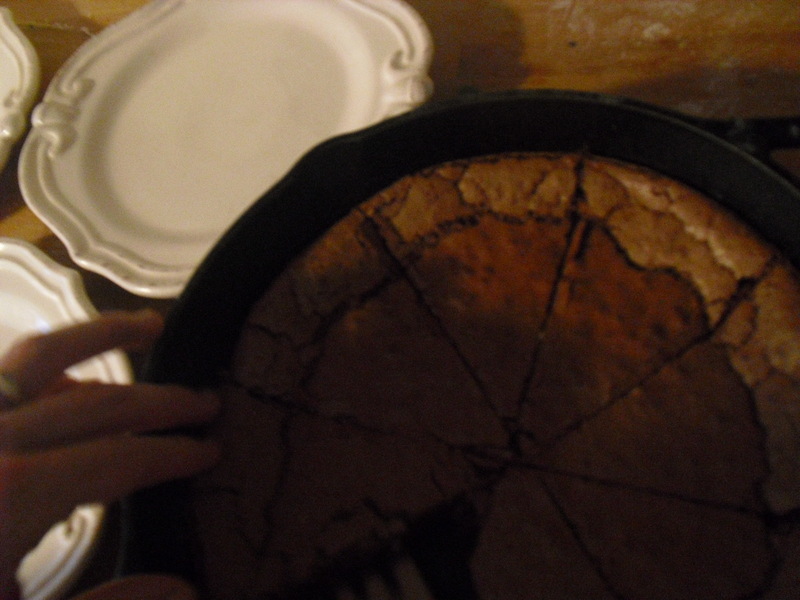 7) Finish with a light dusting of unsweetened cocoa over the top layer of mascarpone. 8) Refrigerate overnight, which will allow the flavors to blend and mellow. I like the dessert to come back almost to room temperature before serving. And I sprinkle a little fresh cocoa over each portion just before serving.